Cal Speedway on Sunday, 1/22. I was there crewing for Oli, but not on the front straight (I was at the bridge), so missed it. I saw the car slowing down through the banking. We had race radios. When his son, who was on the front straight above the pit garages, told me the hood blew off I could hardly believe it. 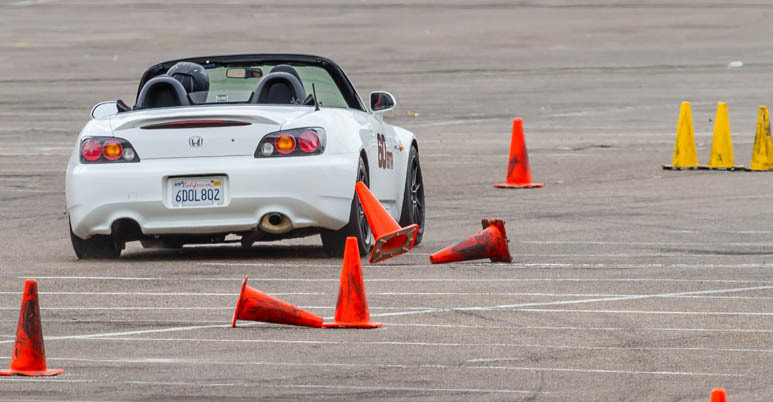 Really did not have enough time to talk in grid on Sat, but it was great to see you back with the SD autox bunch. I looked in the pits & couldn't see ya after the run group. Come join us again, when it fits your schedule. Good to see you as well, Bob! And several other of my Solo pals. I had a lunch engagement, so left right after the run group. I hope to make it out at least a few times this year. Maybe even bring out the kart.